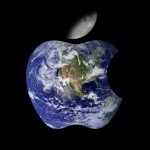 How the prices of Apple's iDevices compare the world over has long been a point of interest for our international readers, namely because those outside of the United States often appear to pay comparably more for new iPhones and iPads. 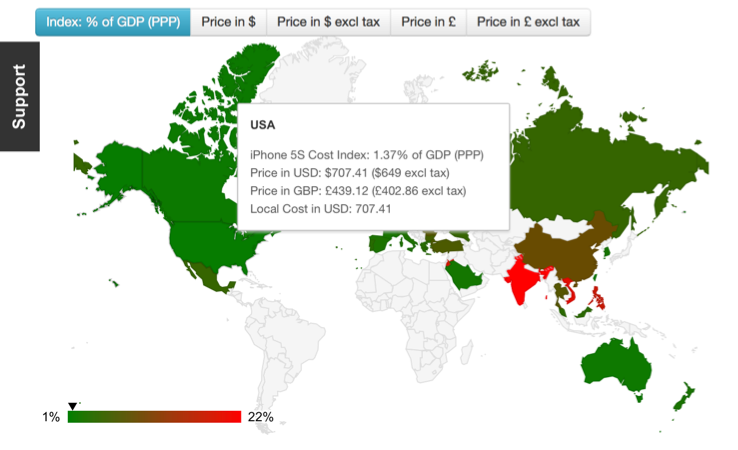 Now, a new chart compares the cost of the iPhone 5s against individual countries' gross domestic product (GDP), providing an insight into how the cost of Apple's smartphone differs internationally. The chart, which reached us from Gizmodo, can be viewed online at Mobile Unlocked, and as you can see the cost of the iPhone 5s indeed differs greatly. In the United States, for example, the new handset sets customers back 1.37 percent of the country's GDP; in China, the cost rises to almost 10 percent of the per capita GDP, and in India, the figure is even higher - 22.32 percent, as of this writing. Of course, this provides readers with an insight into why the iPhone hasn't fared so well in certain countries overseas. In India, particularly, Apple has struggled to secure a decent share of the nation's huge smartphone market, and has lost out in recent years to lower-cost Android-powered models. The same can be said of Apple's presence in China, however an impending deal with China Mobile - the nation's largest carrier - could change this. 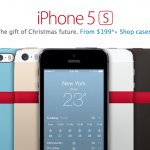 Check out the chart yourself at Mobile Unlocked. If you live overseas, it definitely makes for interesting viewing. Remember, too, that we discuss Apple's work outside of the United States in a weekly column called AppAdvice International. See also: Halfbrick's Colossatron Gets A New Teaser Trailer, Demos Prototype Weapons, Surf The Snow-Covered City Of London This Holiday Season In Subway Surfers, and Collaborative Word-Processing App Quip Gains Document Import, Inbox Filters And More.